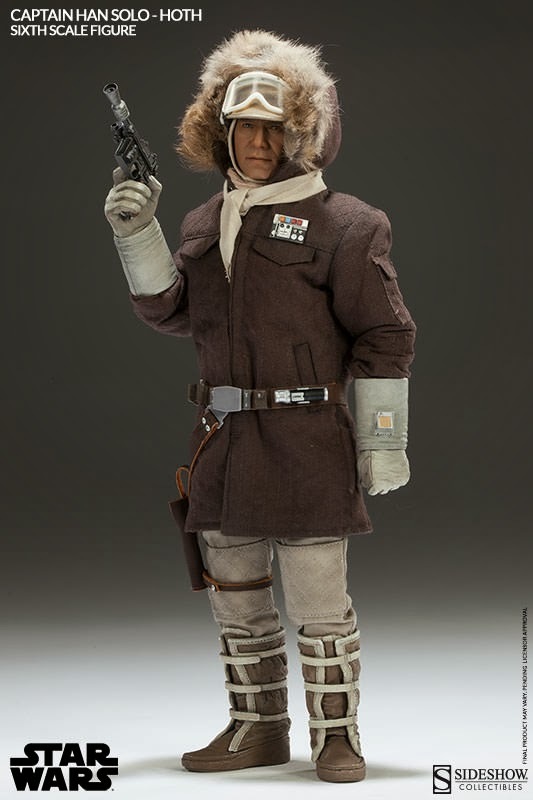 "I'll take a good fight any day over all this hidin' and freezin'!" 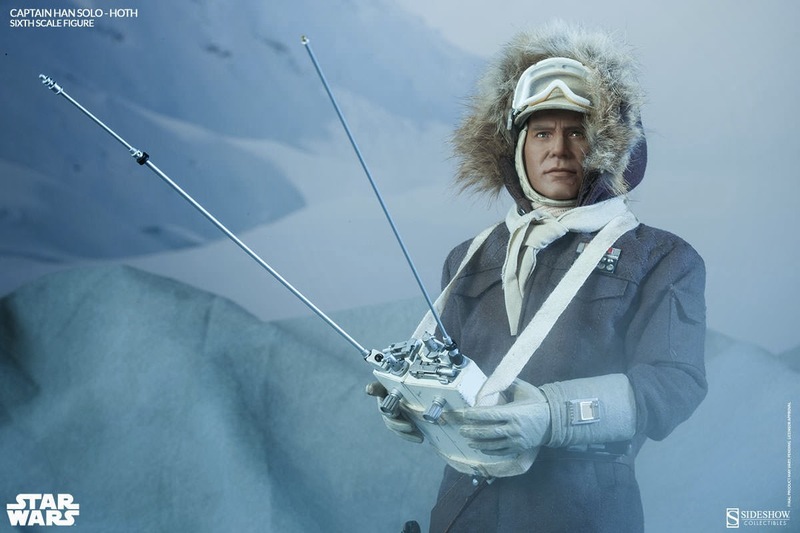 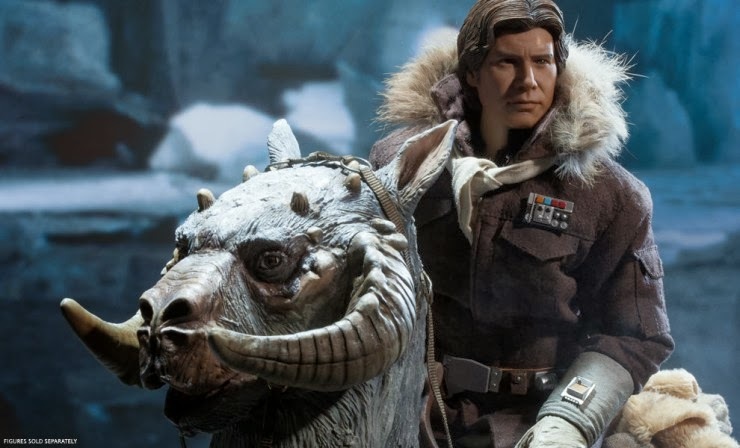 From Star Wars Episode V: The Empire Strikes Back, relive your favorite moments leading up to the Battle of Hoth with the Sideshow Collectibles Captain Han Solo - Hoth Sixth Scale Figure. 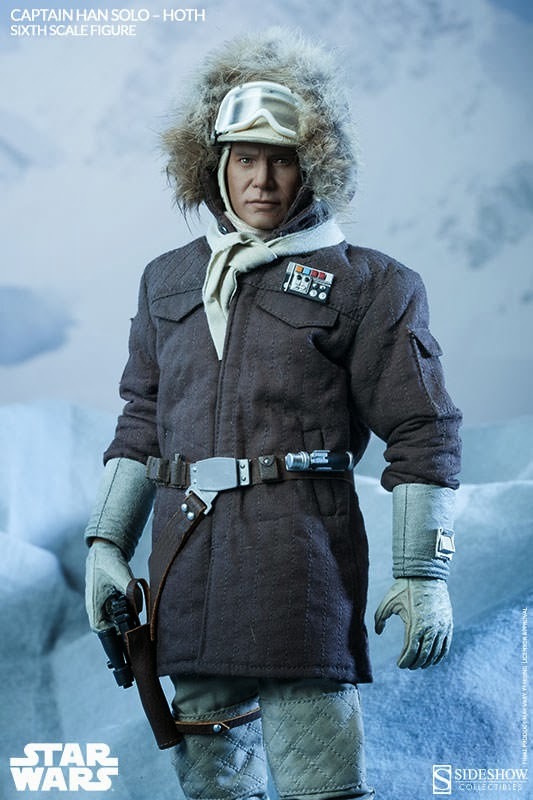 On the run and with a price on his head, the intergalactic smuggler Han Solo joins the Rebel Alliance at their remote secret location on Hoth, Echo Base. 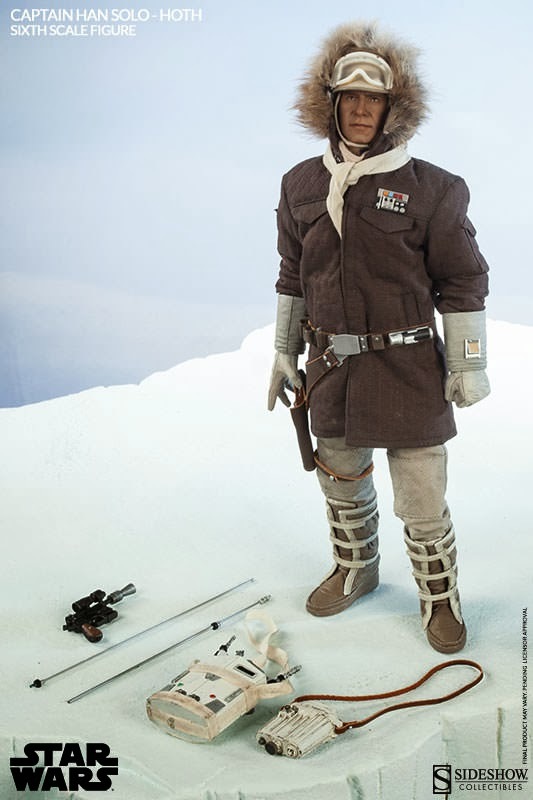 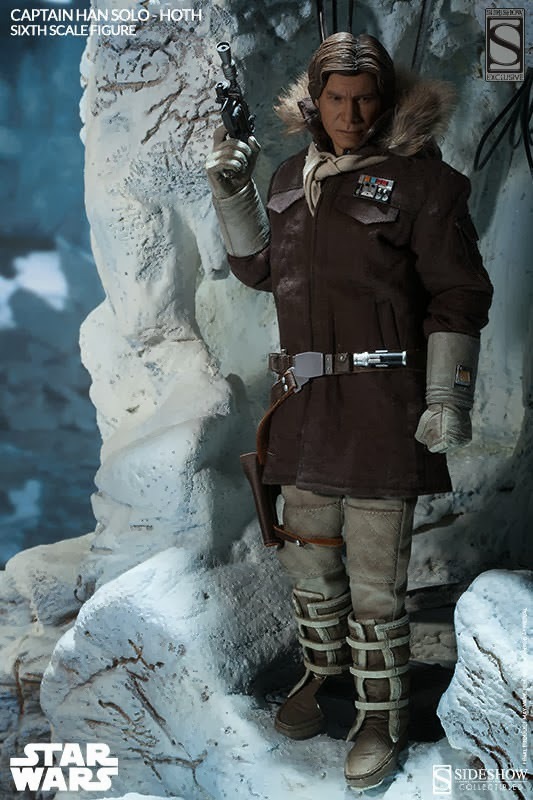 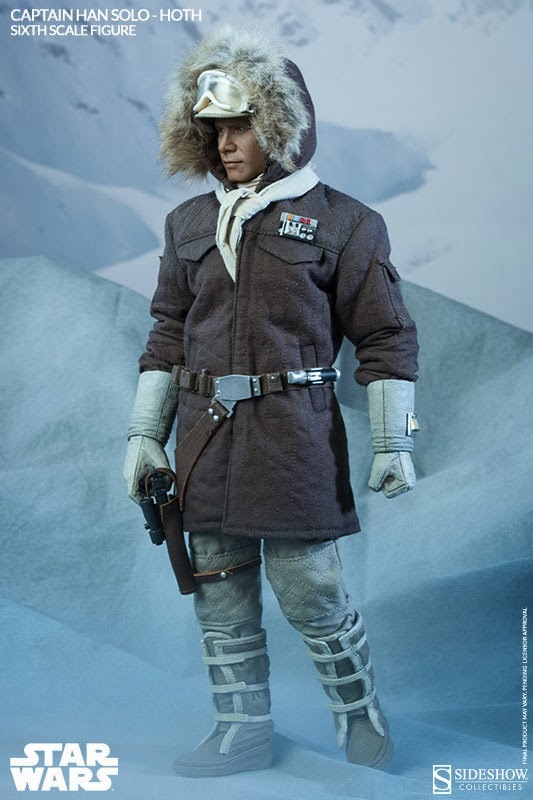 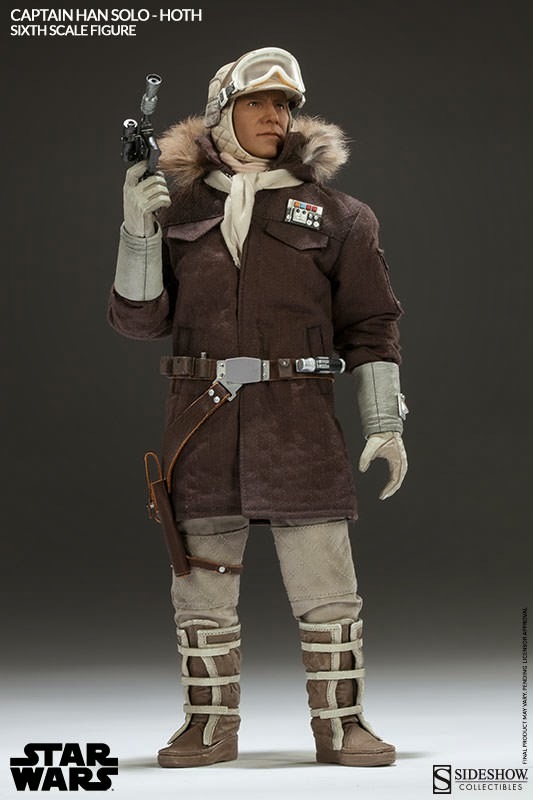 Dressed for the planet's notorious sub-zero climate, Solo is fitted in an authentically replicated brown quilted parka, complete with rank insignia and fur-trimmed hood. 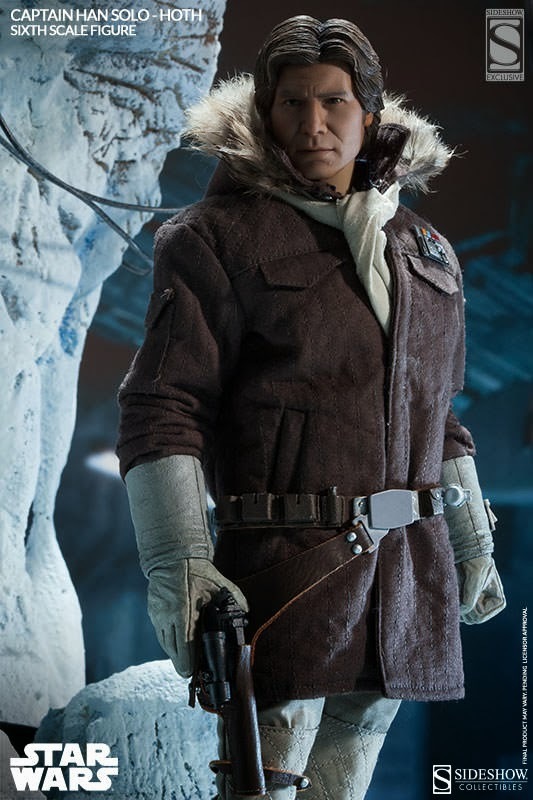 Two scarves, a cap and goggles frame the lifelike portrait which perfectly captures actor Harrison Ford in the role that made him a star - and for additional display options, swap in the Sideshow Exclusive portrait without headgear, depicting Han as he appears inside the base. 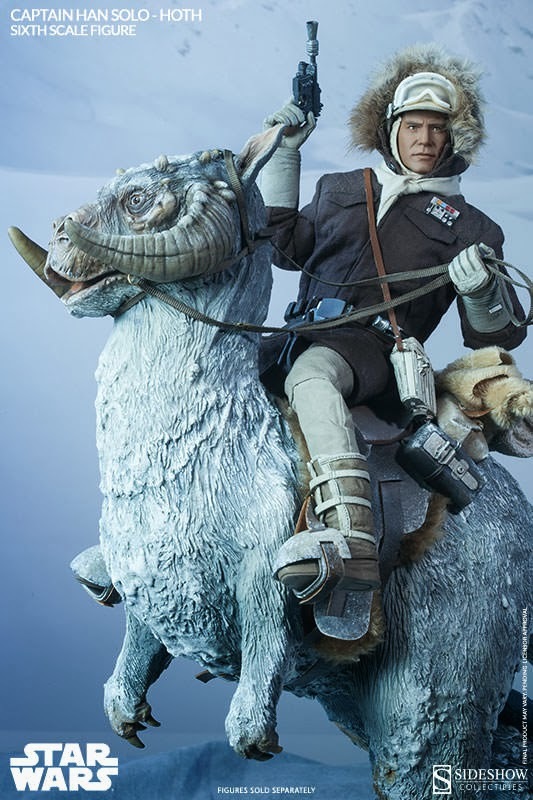 Though hiding and freezing on the wretched ice cube doesn't sit well with the smuggler's disposition, when Rebel Commander Luke Skywalker goes missing during a routine patrol, Solo has no choice but to leap onto the back of an ill-fated tauntaun and go out after him. 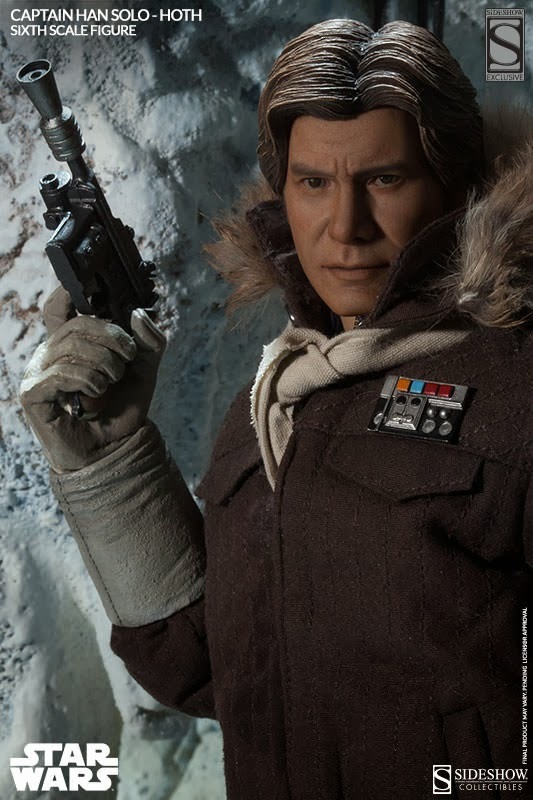 Fully equipped with a blaster pistol, macrobinoculars, droid caller, and portable life scanner, he's willing to risk everything on a rescue mission to find his friend and save the day. 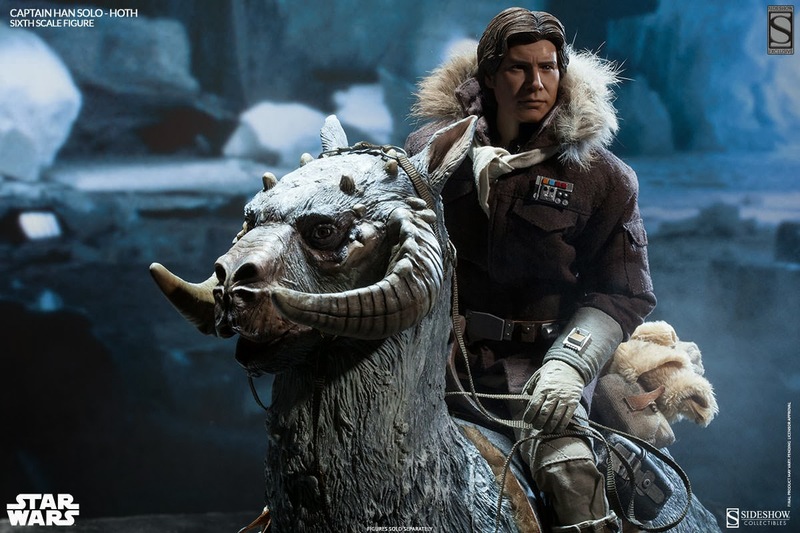 L'univers de Star Wars se déroule dans une galaxie théâtre d'affrontements entre les Chevaliers Jedi et les Seigneurs Noirs des Sith, personnes sensibles à la Force, champ énergique mystérieux leur procurant des pouvoirs psychiques. 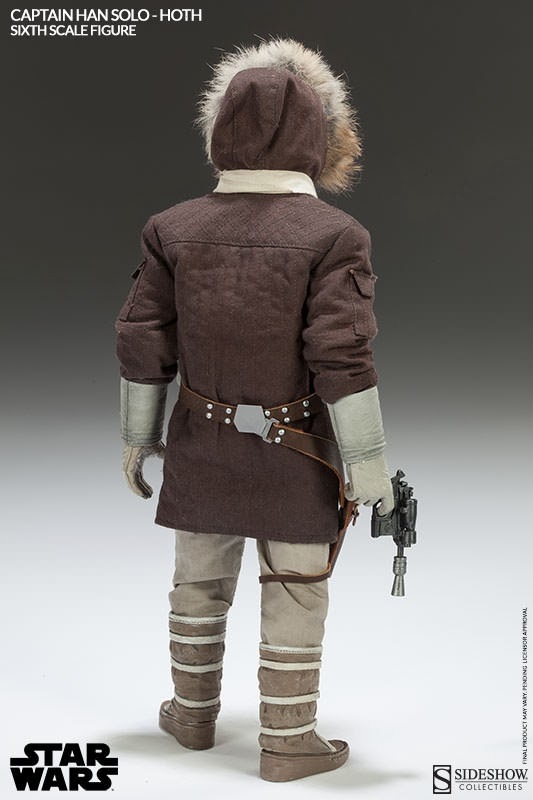 Les Jedi maîtrisent le Côté Lumineux de la Force, pouvoirs bénéfiques et défensifs, pour maintenir la paix dans la galaxie. 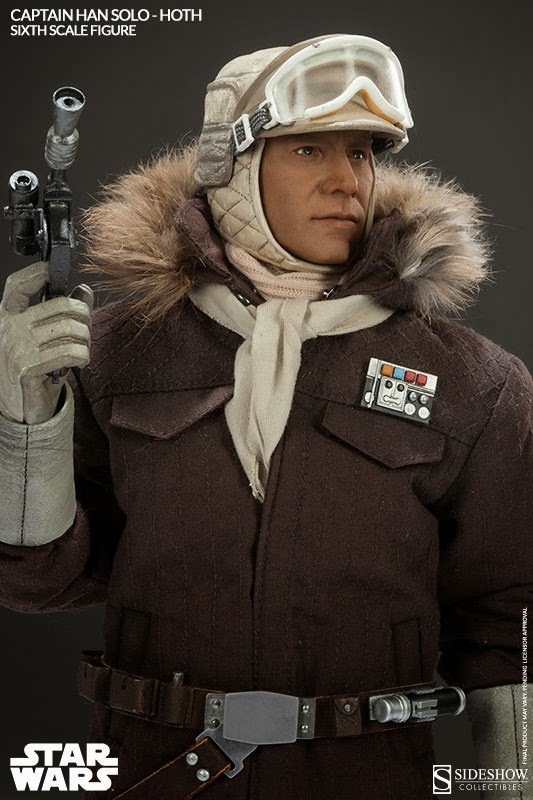 Les Sith utilisent le Côté Obscur, pouvoirs nuisibles et destructeurs, pour leurs usages personnels et pour dominer la galaxie..